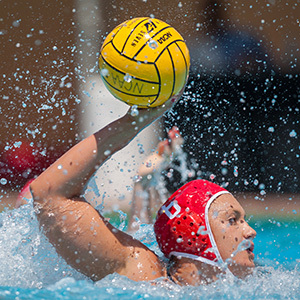 NCAA All-American Ashley Grossman dominated college water polo at the 2-meter position while leading Stanford to three NCAA titles in four years. The former So. Calif. Jewish Sports High School Athlete of the Year had a 105-8 overall college record. She scored two goals in her final match to lead Stanford to a 7-6 NCAA title win over UCLA after scoring two goals in the semifinals against USC. She made both the 2015 and 2016 NCAA All-Tournament teams while gaining All-American honors. She finished 10th all-time in Stanford goal-scoring history with 169. She scored twice in the 2014 NCAA title win over UCLA. Ashley has played on both the USA National and Junior National Teams and was the final cut for the 2016 Olympic Team. She was part of the USA 2015 World Championship Team. She won a gold medal in 2013 with the USA Junior National Team at the international FINA Cup. She led Harvard-Westlake to its first CIF Title in school history, winning CIF MVP honors and being named a prep All-American. She was also named Most Valuable Player at the Junior Olympics in club action where she played for the Los Angeles Water Polo club. She graduated from Stanford with a degree in Science, Technology & Society.